The most incomprehensible thing about the Universe is that it is comprehensible”- Albert Einstein The astronomers addresses the cosmic coincidence that six numbers in physics are just right for the emergence of galaxies, stars, chemistry and people......Without them there would be no galaxies of stars, no chemistry, no people. Martin Rees in his book “Just Six Numbers“ says that things would not be as they are even if there is very slight change in the value of these six numbers. Martin John Rees, Baron Rees of Ludlow, is a British cosmologist, astrophysicist, a member of the House of Lords, a master of Trinity College Cambridge and a former president of the Royal Society. Martin says that these six numbers, which determine the expansion of the Universe, its content and the forces governing it, are basically the recipe for our Universe. The mystery is why our Universe is encoded by a set of numbers and formulae which are like the Mandlebrot Set. Albert Einstein says "The most incomprehensible thing about the Universe is that it is comprehensible". These numbers influence the size and form of our Universe and its elements, the space in which it expands and its life span itself. The universe is so sensitive to the value of these six numbers that if there is any minor change in their values, there would be no stars and no life. It is just a miracle that we evolved and came to exist as we are with just the right combination of these numbers. We should indeed be grateful that our expanding universe is just right for us. Conversion of Hydrogen to Helium The equilibrium of a star is maintained by the conversion of hydrogen into helium. Within our own sun, 685 million tons of hydrogen is converted to helium each second. The nuclear fusion and conversion of these gasses releases tremendous thermal energy creating an outward pressure which prevents the gravitational collapse and implosion of the star. Starting point in the evolution of universe. Let us consider the example of conversion of hydrogen to helium which was essential as a starting point in the evolution of universe. 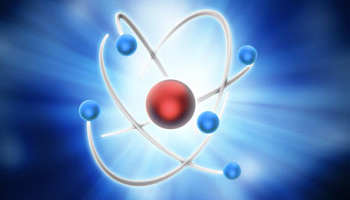 The conversion of hydrogen to helium happens in a manner that converts 0.007 percent of its mass to energy. If the value is around 0.006 percent transformation of hydrogen to helium could not have happened-resulting in Universe with only hydrogen and nothing else. If the value is about 0.008 percent hydrogen would have been exhausted long time back and the Universe in the present form will not be there. The visible universe must be around ten billion light years across with about 100 billion galaxies and each galaxy having about 100 billion stars. Six Numbers of Universe The nature of our universe is remarkably sensitive to just six numbers, constant values that describe and define everything from the way atoms are held together to the amount of matter in our universe. If any of these values was “untuned,” there would be no stars and life as we know it in our current universe. The Planet Earth which is one of the planets around Sun; just one star among billions of stars in Milky–way galaxy has taken 4.5 billion years for the emergence of human life. The forces and particles at the micro as well as macro level are governed by mathematical laws which influence the way the universe evolves. Martin says that our universe could not exist but for the special requisite tuning in the fundamental numbers that govern it. We are in a Universe where the laws and the numbers governing it have tremendous ramifications from which our Big Bang has evolved into the complex cosmos we inhabit. These six fundamental numbers are (D), the number of dimensions we live: (N) the ratio of the strength of gravity to that of electromagnetism; Epsilon (€), the ratio of mass lost to energy when hydrogen is fused to form helium; Omega (Ω), the density parameter describing the amount of dark matter; Lambda (λ) representing new &apos;anti–gravity&apos; force that controls the expansion of our Universe and Q – the ratio between the rest mass energy of matter and the force of gravity. Each one of these six numbers plays a crucial and distinctive role in our Universe, and together they determine how the Universe evolves. Three-dimensional Universe One consequence of a three-dimensional spatial world is that forces like gravity and electricity obey an inverse-square law, such that the force from a mass or charge is four times weaker if you go twice as far away. The First Crucial Number "D" is the number of spatial dimensions. We live in a three–dimensional Universe and life couldn&apos;t exist if D were two or four. Time is a fourth dimension, but distinctively different from the others. Forces like gravity and electricity obey an inverse–square law because of three–dimensional spatial world such that the force from a mass or charge is four times weaker if you go twice as far away. However, in a four–dimensional spatial world, the force at 2r would be eight times weaker than at r, and not consistent with the physical, electrical and gravitational forces we observe in nature. A three–dimensional spatial world offers stability of orbits in our solar system, in the sense that a slight change in a planet&apos;s speed would only nudge its orbit slightly. A planet simply shifts to a very slightly different orbit even if it speeds up slightly or slows down. If there are four dimensions, gravitational and other forces would have varied inversely as the cube of the distance rather than the square. An orbiting planet that was slowed down – even slightly – would then plunge ever faster into its parent star rather than merely shift into a slightly smaller orbit, because an inverse–cube force strengthens so steeply towards the center. 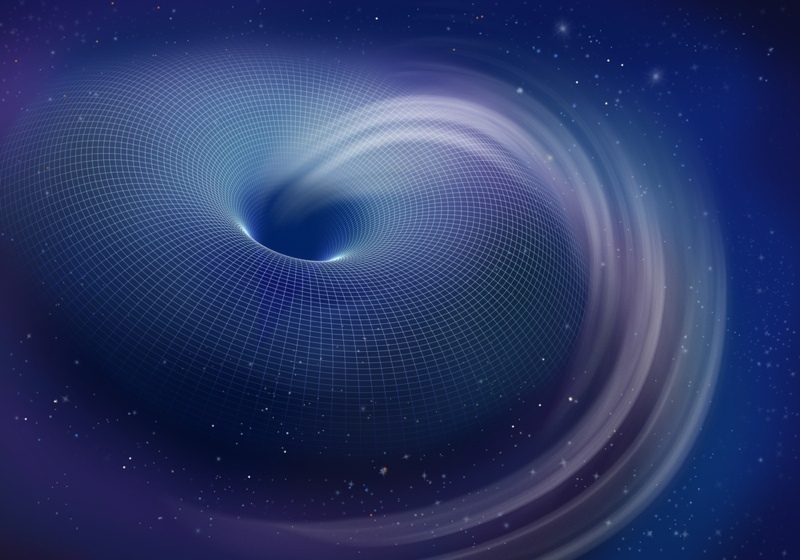 An orbiting planet that was slightly speeded up would quickly spiral outwards into darkness. We owe the stability of the solar system to the fact that space has, on the macro scale, only three physical dimensions. In a two–dimensional spatial world, it is impossible to have a complicated network without the wires crossing. This would make it essentially impossible to create communication networks or physiological circulatory networks. Similarly, you cannot have a channel through an organ without dividing the organ into two. Imagine how you would feel going for a drive on the road if there are two or four dimensions. The restrictions are even more severe in a one–dimensional spatial world. Balance Between Strong and Weak Forces The Universe, with its constants, laws, and initial conditions requires exquisite balance to produce the relatively stable environment which makes life possible. N, the relative strength of electrical force over gravitational force measures the strength of the electrical forces that hold atoms together, divided by the force of gravity between them. The balance between the nuclear forces and the astoundingly feeble power of gravity, giving us N, a huge number involving 36 zeroes and if it is less by few zeros, we wouldn&apos;t be here. The gravitational force will pull the matter inward into smaller and smaller spheres. As they get smaller the interior temperature gets hot enough and the nuclear fusion reactions can occur as in our sun. These nuclear fusion reactions release energy which keeps the matter from continuous collapse and allows stars like our sun to shine from the released energy. How life emerged from non-life is an extremely challenging question. The sequential steps are: Nucleosynthesis, the creation of chemical elements in the universe. Abiogenesis, the transition from nonliving elements to living systems. Molecular evolution, evolution at the scale of molecules Gas evolution reaction, the process of a gas bubbling out (or evolving) from a solution. Oxygen evolution, the process of generating molecular oxygen through chemical reaction, followed by life. If the gravitational force were larger(N is smaller), the matter would collapse much faster into smaller spheres, galaxies would form much more quickly and would be much smaller in size. The stars would be so densely packed precluding stable planetary systems, which are a prerequisite for life. This Universe could have been short lived and there would be no time for evolution to lead to intelligent life. Stars wouldn&apos;t live long enough for the likes of us to evolve. 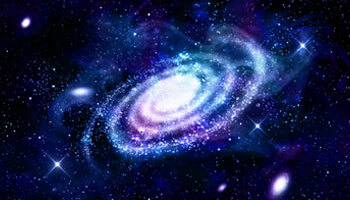 The universe would be very much different from the current universe, and life as we know it would not be able to exist. Gravity is a weak force and if it weren&apos;t very small, then the early universe would have expanded too fast for the formation of galaxies. 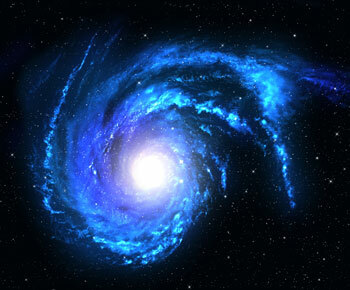 If the gravitational force were even weaker (N is larger) then it would take longer to form galactic structure, and galactic structures would be less densely populated. Expanding Universe Observations suggest that the expansion of the universe will continue forever. If so, the universe will cool as it expands, eventually becoming too cold to sustain life. Epsilon ( € ) is a measure of the strength of the strong nuclear force and determines the amount of energy released by nuclear fusion of hydrogen to form helium € is a measure of nuclear efficiency defined as the percentage of the mass of the nuclear constituents that is converted to heat when the nuclear constituents react via nuclear fusion to form a heavier nuclei. € has a value of 0.007 and if epsilon was 0.006 (or) 0.008, then the universe and life as we know it would not exist. If it had a value of 0.006, stars wouldn&apos;t burn and elements heavier than hydrogen wouldn&apos;t form as hydrogen could not fuse into helium. Our universe would be composed of hydrogen only without elements such as carbon, nitrogen, iron required to form rocky planets, carbon based bio molecules and there by life itself. If € = 0.008 or greater, helium would have formed very fast and all the hydrogen would have been used up very early. There would be no hydrogen left to provide the fuel to produce light in stars such as our Sun. Water could never have existed, and therefore no life as we know it. Therefore, any universe with life would require € to be in the range of 0.006 – 0.008. Dark Matter The dark matter collected into a "dark core" containing far fewer galaxies than would be expected if the dark matter and galaxies hung together. 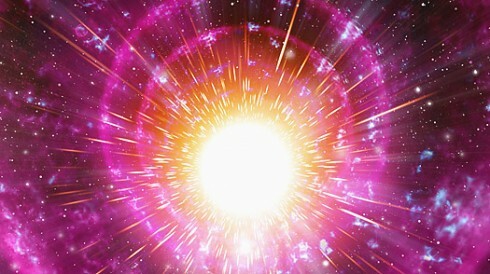 The Density parameter Ω (omega) is so critical that if it has varied from unity by more than one part in a million billion, just a second after the big bang the universe would still not be expanding even after 13.7bn years. In an expanding universe, galactic matters are moving apart from each other and the matter density in the universe that is necessary to cause the reversal of this expansion resulting in crunch is called the galactic critical density. The density of the universe, relative to the "critical" density at which it just barely escapes a Big Crunch is incredibly close to 1 but the exact value is not known. If Ω were significantly smaller than 1, then not only that the universe would expand forever, the gravitational pull would be so small that expansion would occur so rapidly that galactic matters would be so far apart and galaxies would not be able to be formed, with a corollary that planets and life as we know it would not be able to exist. On the other hand, if Ω were significantly larger than 1, then the universe would quickly collapse before there was time for any interesting evolution of galaxies, planets, and life as we know it. The motions of various stars and galaxies cannot be completely explained by the gravitational pulls of other stars and galaxies that are known to exist today. There could be other matter called dark matter affecting the motions of stars and galaxies It is called dark matter as it does not emit electromagnetic radiation and hence not visible. The value of density parameter Ω suggests presence of darkmatter. 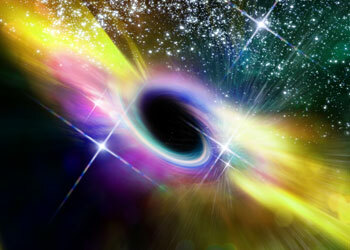 Black hole in the Universe Black holes are the corpses of giant stars. When such a star runs out of fuel, its core collapses inward. Gravity pulls everything into an increasingly fierce grip. Temperatures reach 100 billion degrees. Atoms are smashed. Electrons are shredded. Those pieces are further crumpled. Q represents the strength of the bonds among galactic matter to form clusters (stars, galaxies, and clusters of galaxies). 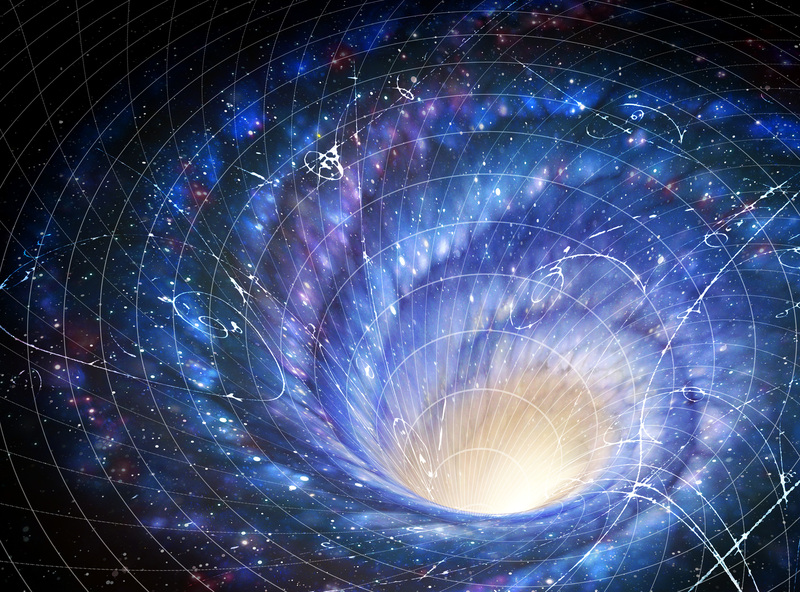 Q represents the ratio of two fundamental energies; the one part in 100,000 ratio between the rest mass energy of matter and the force of gravity. Q also represents the amount of energy as a proportion to their rest mass energy, needed to break up and disperse the clusters. If Q were much larger or smaller than 10–5, then life as we know it would not exist. If this ratio is much bigger, Stars and galaxies would be more closely packed, and they would more likely collide with each other, thus decreasing the chance to retain stable planetary systems and therefore less likely for life as we know it to exist. Stars would collapse swiftly into black holes and the surviving gas would blister the universe with gamma rays. The Universe would be inert and structure less and it would be a violent place, dominated by giant black holes. The universe would be rough with all black holes and very tightly grouped clusters of stars. If Q a lot smaller, gas would never condense into galaxies If Q happens to be only a bit smaller, star formation would be slow, clustering would be less likely to occur, the universe would be smoother and it would take more time for the universe to evolve to the current structure. There would not be sufficient time for stars, galaxies, and planets to form, and then for life as we know it to develop and evolve. Universe Expansion Slowdown In the cosmic setting, the fate of the universe depends on a tug of war between dark matter, which is trying to slow down the expansion of the universe, and dark energy, which is trying to speed things up. We see the motion of galaxies as the space between them stretches out and the light from exploding stars to judge their distances, but they are just tracers of the underlying reality. Expanding Universe: Slowdown or Speedup? Cosmological constant lambda (λ) represents the weakest and most mysterious of forces which is just strong enough to push the most distant galaxies away from us at an unexpected rate. The exact value of lambda is not known but if this is much stronger, we cannot find any more galaxies to accelerate anywhere. It represents a new form of matter or energy that is gravitationally repulsive that could lead to an accelerating expanding universe. A much larger value for λ would mean that the universe would have expanded rapidly even in its early stages. Therefore, there would not be sufficient time for stars, galaxies, planets to form, and therefore would have precluded life as we know it. On the other hand, a much smaller value for λ would not lead to catastrophic consequences in terms of the formation of stars, galaxies, planets, and life; it only means that the expansion of the universe will slow down. Quantum World The properties of the quantum world such as type, number, size and mass of atoms and sub atomic particles and the forces linking them together determine the chemistry of our everyday world and there by our life itself. You and me could exist and even have the curiosity to understand the reasons for our existence because of the incredible right combination of these six numbers. The nature of our universe is remarkably sensitive to just six numbers which describe and define everything from the way atoms are held together to the amount of matter in our universe. The physical laws that govern the universe with billions of galaxies, stars and planets depend on these overwhelmingly large and small numbers. Stars, planets and humans would not exist if there is small change in any one of them. The properties of the quantum world such as type, number, size and mass of atoms and sub atomic particles and the forces linking them together determine the chemistry of our everyday world and there by our life itself. If any of these values was "un–tuned", there would be no stars and life as we know it in our current universe. This realization offers a radically new perspective on our place in the universe, and on the deep forces that shape, quite simply, everything.